As humans, we seek warmth. Not just the kind of warm you can adjust on a thermostat, but real warmth — one you can feel spread from your tummy to your fingertips, the kind you get from a loved one’s embrace, the soft familiarity of your bed at the end of the day. Then there’s the delightful, down-to-your-bones warmth of food.There are entire cookbooks, menus and flavors in every culture dedicated to the warmth and comfort of food. And, of all the comfort foods, there’s one we seem to hold the nearest and dearest to our hearts, poured from steaming ladles by your smiling grandma. And luckily in Chicago, there’s no shortage of it. 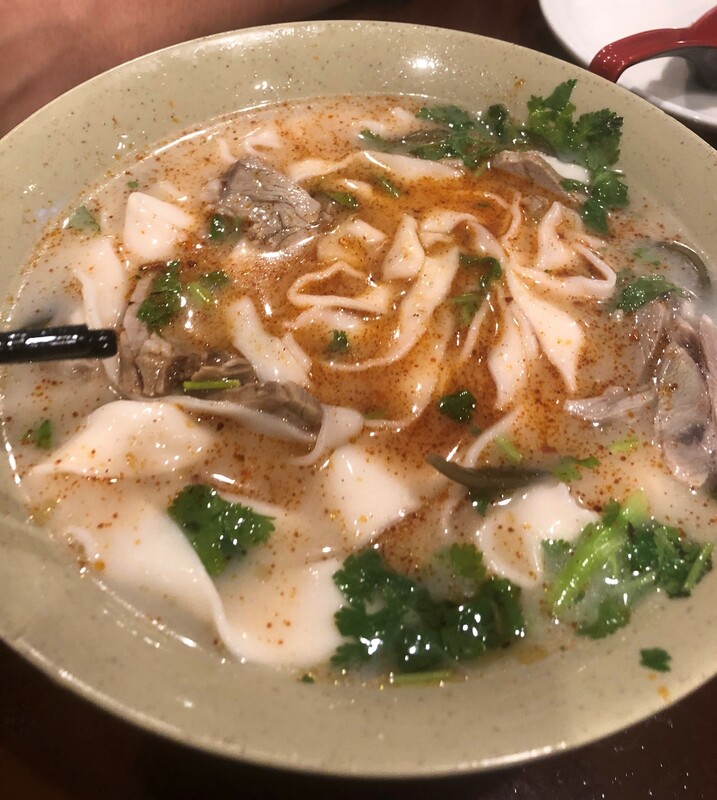 From chicken noodle to ramen to gumbo to pho, Chicago’s diverse food scene provides an excellent point of entry into the soups for the soul of cultures across the globe. “It’s a universal food, every culture has a soup of some sort, and that’s partly because of its simplicity,” said Janet Clarkson, author of Soup: A Global History. Clarkson is a Queensland, Australia-based food historian and has done extensive research and writing about the histories, traditions and recipes surrounding the foods we cherish most. Many of these foods are derived from pure necessity — what was once purely utilitarian has become something beautiful and beloved. “When you think about it in terms of very early, medieval times, most poor people would have soup as their only hot sustenance, and most people never really ate meat because it was too expensive. And even around the world now, a lot of people have very simple cooking facilities. So as a species and as a culture, we have a very long history of cooking out of one container,” Clarkson said. “And what poor people would try to do at Christmas would be to enhance their day to day gruel.” (Note: by “gruel,” Clarkson means any soup or stew-y dish, usually something with liquid and grain elements). And thus, soup has come to occupy a specific space and niche on our kitchen tables. GIF by Cody Corrall, 14 East. Illustration by Artem Kovyazin. This niche is one that cultures experience and evolved with throughout time — the story which is apparent in that first spoonful of any soup. What’s it missing that you might be used to in, say, your grandmother’s recipe? What does it add? Why? The ability to put seemingly anything into a soup combined with its deeply warming qualities opened up other uses for it. In some cases, changes in soup recipes ranged from the practical to the unimaginable. “People also had much more exotic soups, like some with actual gems in them or ground up viper,” Clarkson said. As Clarkson said, it’s ultimately this versatility that we love and cherish about our soup. It’s not only a reflection of our culture, but of our values, our environment and the way we take care of one another. For most of my life, my ideas of what ramen was and everything it could be were limited to the orange package of chicken flavored Maruchan instant ramen. It sounds silly now, but I don’t think it was until late high school that I realized the significance of ramen in Japanese culture and the culinary phenomenon that it has become since the 1980s. 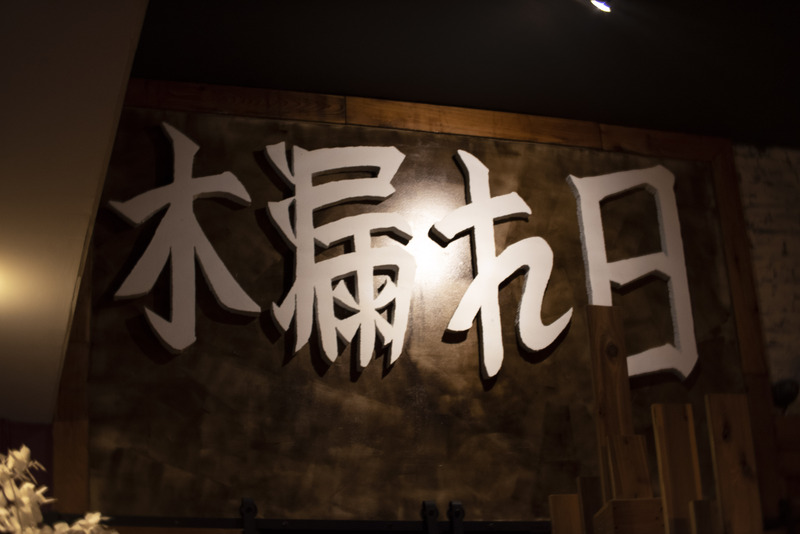 The first time I ate at Strings Ramen Shop back in February of 2017, I wasn’t entirely sure what to expect. 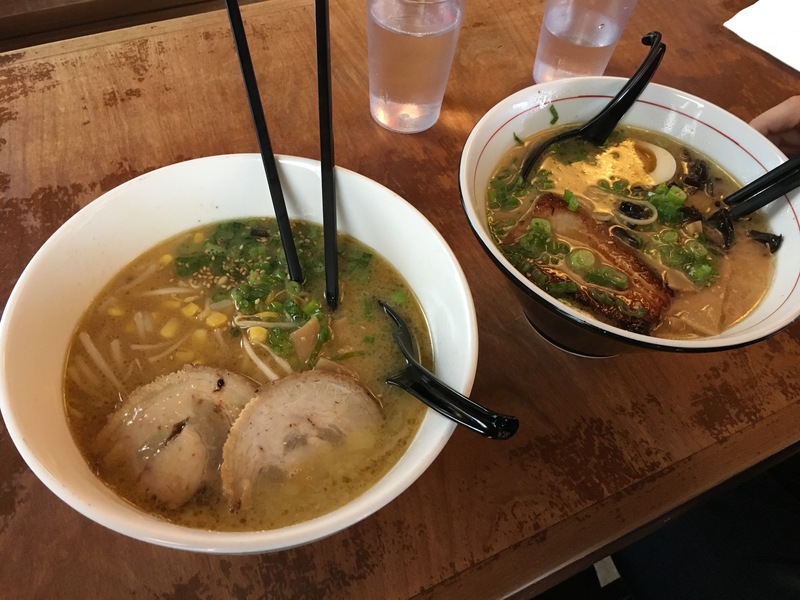 Without spoiling too much, I’ll go ahead and tell you I’ve been back countless times since and the shop recently made Thrillist’s list of the 24 Best Ramen Shops in America. The flagship shop is located in Chinatown at 2141 S. Archer Ave. Strings has now expanded to locations in Chicago's Lakeview neighborhood and Madison, WI. I can’t speak to the Madison location, but both the Lakeview and Chinatown shops have a sleek, wood-interior with both high table sections and funky, low back booths. Chic red and white lanterns lining the ceiling make for some beautiful lighting, soft enough for a date-like atmosphere but bright enough to see every element of your masterfully assembled bowl of ramen in all its glory. 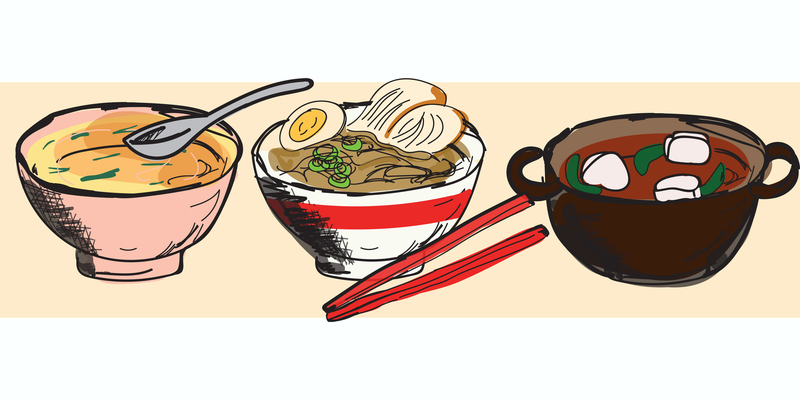 The menu might seem a bit complicated to newcomers in the world of ramen, but have no fear. The servers are very kind and knowledgeable and will happily explain the menu to you and field any questions you have with ease. The main thing to understand is that there are four types of broth to choose from and various topping combinations for each broth. For vegans and vegetarians (or lovers of a good veggie-centric meal), there’s shoyu broth, which is a seaweed dashi and soy sauce based broth. It has all the umami goodness and depth, minus the meat-stock broth. All five levels of the “Hell Ramen,” which uses a shoyu broth infused with hot peppers and chilis,are available vegetarian too. I am a huge fan of the Hell Ramen (I’ve managed up to Level 2), but it’s definitely got some serious heat, so proceed with caution. But the staple dish, the must-try, in my opinion, is the tonkotsu ramen. Tonkotsu uses a creamy, pork-bone stock. I recommend going with the kurobuta topping (either pork belly or pork loin, depending on how fatty you like your meat). The dish comes served to you in a deep bowl that you quite literally peer down into. Underneath the toppings — your meat, wood ear mushrooms, bamboo shoots, green onions, a soft-boiled marinated egg and seaweed — sits a nest of noodles. First, eat the seaweed. It’ll melt in your mouth and give you just a taste of the broth, opening your eyes for what is to come. What happens next is truly euphoric. The broth will make your heart and belly sing. It’s salty and rich without being overwhelming, somehow creamy without any sort of cream in it. There’s even a hint of porky sweetness blended into each slurp. You’ll almost want to pause and live in this moment of soup-induced, ethereal joy. Keep going. The noodles have just the right amount of bite, and manage to take on the flavor of the broth while holding their own in the flavor opera that is happening in this bowl. When it’s all said and done, you’ll spend between $10-$20 on a bowl depending on the broth and toppings you choose. It’s a little pricier than your average pack of Maruchan, but it provides and experience that you’ll want over and over again. Blurb and photos by Francesca Matthewes. Since opening its doors in January of 2017, Komorebi Sushi is definitely one of the newer kids on the block. 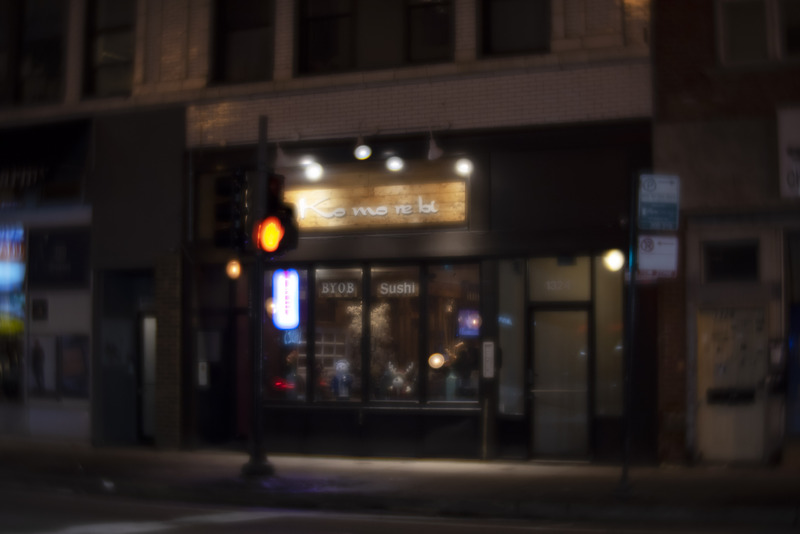 Its rustic storefront on 1324 N. Milwaukee Ave. in Wicker Park is a recent addition to an already crowded stretch of at least six other sushi restaurants within a half mile of Division street. But there’s a lot of things that make Komorebi stand out from the pack. Komorebi’s interior feels like you just stumbled into a kitschy but elegant Ikea. There’s a brick wall on one side and smooth wood paneling on the other — and there are large, extravagant plants (both real and fake) throughout the restaurant. You can chose to dine in red leather booths in the back, at the sushi bar or at small tables with mismatched chairs by the window. And with over 70 different types of rolls — including vegetarian options — there’s something for everyone on the menu. But by far the standout at Komorebi is the spicy miso soup. 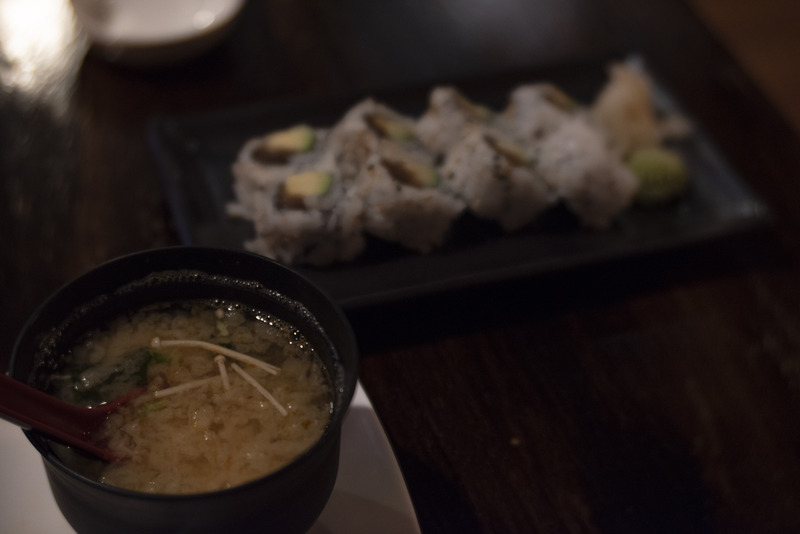 Miso has always been one of my favorite soups. It’s base is made from a simple dashi stock and usually contains tofu cubes, wakame (edible seaweed) and scallions. 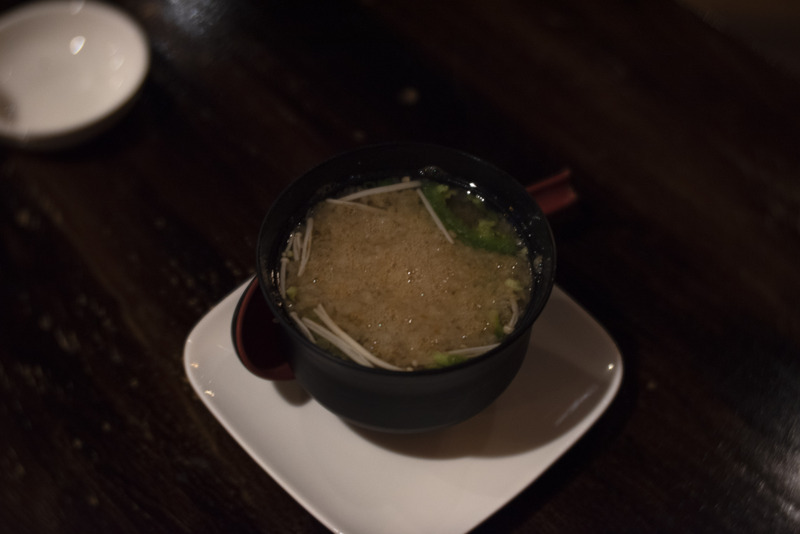 Because of how simple miso soup can be, it’s easy to feel underwhelmed or bored by it. At Komorebi you have the option between regular miso and the spicy miso for 50 cents more — and the flavor payoff makes it well worth the price. The spicy miso is reminiscent of all the components of a classic miso soup — only with the addition of jalapenos and chilli peppers. Upon bringing the soup to your table the waitstaff encourage you to stir the broth in order to get the boldest flavor. For only $3 the soup is surprisingly filling and compliments whatever main course you go with quite nicely. The heat is no joke but you’ll enjoy it if you’re one to put tons of wasabi on your sushi anyway. The service is fast and welcoming and their late hours make getting great soup extremely accessible. Blurb and photos by Cody Corrall. Not to be cliche, but it really was a dark and stormy night, with added freezing temperatures as I sloshed my way down 18th St. in the Pilsen neighborhood. My sister and her best friend were visiting from out of town, and what was supposed to be an easy afternoon and evening of mural touring had quickly turned into an onslaught of sleet and wind that cut right through our coats. At 1544 W. 18th St., Taqueria Los Comales #3 gave us refuge. We saw the vibrant interior from down the block and the place looked packed, so we quickly ducked inside. We were immediately seated in a large booth and handed menus, fresh corn chips and salsa. There were also tubs of escabeche, spicy pickled vegetables, on each table. After shedding our soaked coats and tearing through a basket of chips (that we generously topped with the escabeche – I highly encourage this), we pulled it together to order. On large, brightly lit panels hanging over the register they list their daily specials and on Sundays, they have pozole. I distinctly recall breaking into a smile. 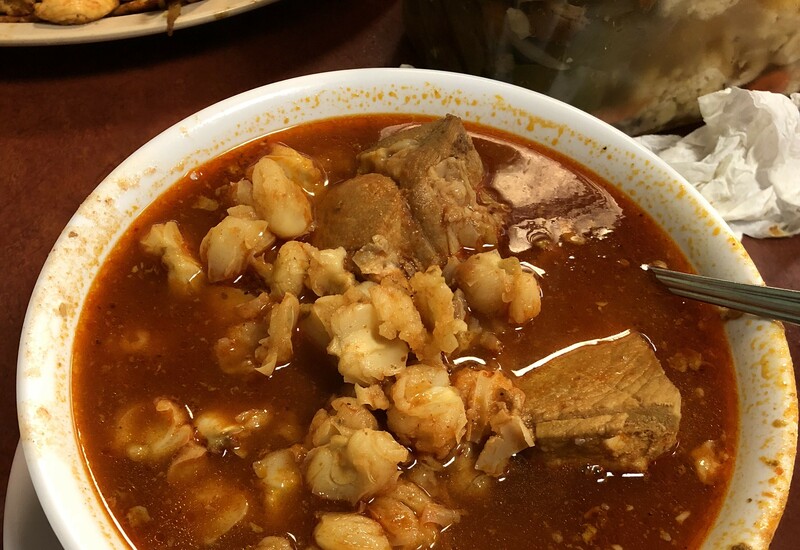 Pozole is a thick soup made with hominy – maize that is basically enlarged and softened through a process called “nixtamalization” – accompanied by meat (in this case pork), cabbage, onions, chiles and garlic. And my god, was it exactly what I needed. 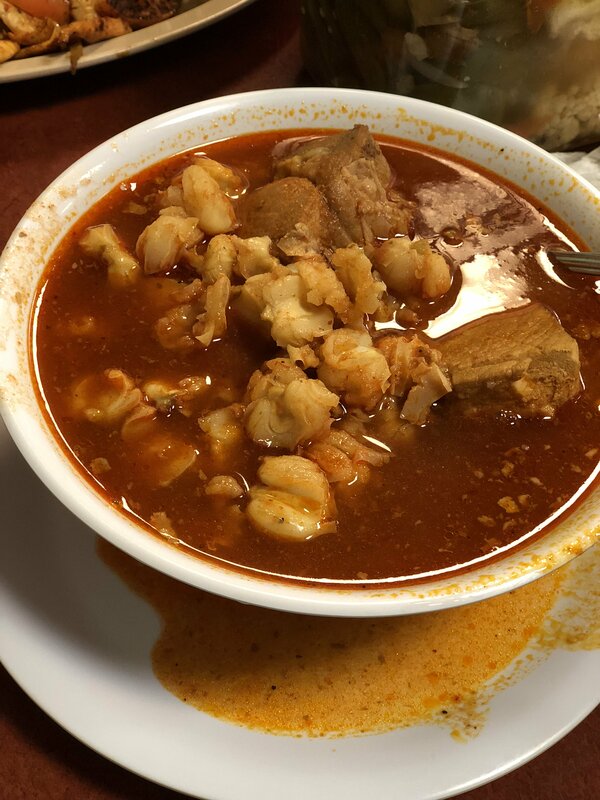 The hominy nearly melted in my mouth, stewed to perfection alongside tender pork that had soaked up enough of the thick, spicy broth which almost served as a marinade. 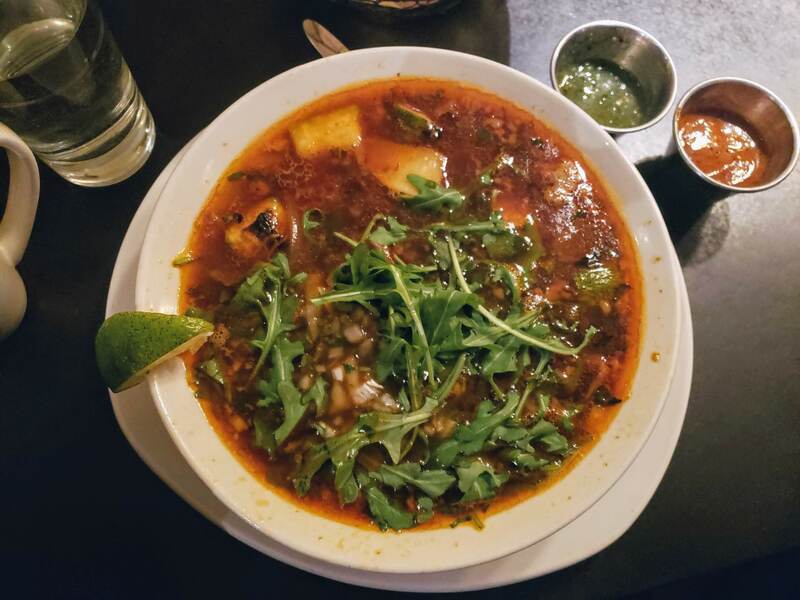 The broth itself was vibrant and cleansing, my lips buzzing and cheeks warmed from the onions, garlic and chiles. I sat back and broke the spice-dance in my mouth with a long sip of horchata, another menu item I can’t recommend enough. 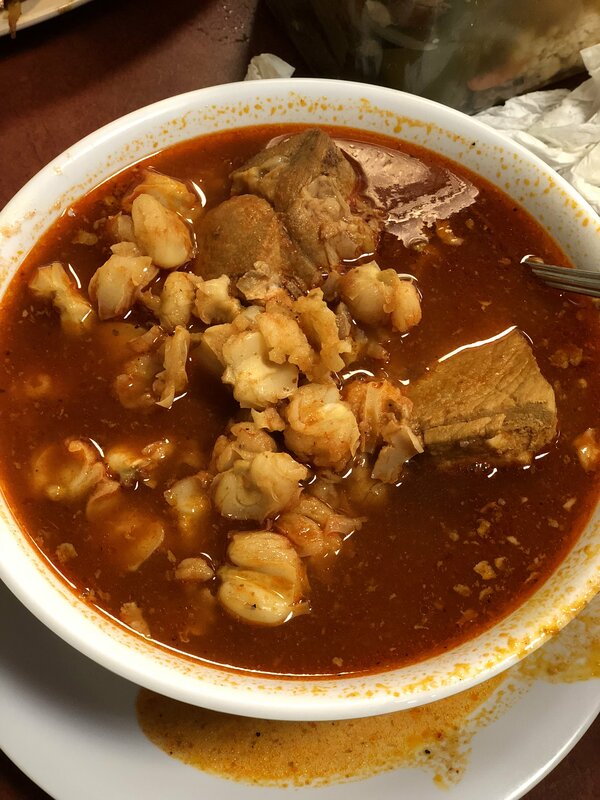 For under $10 for both my pozole and the horchata (again, entirely necessary), I recommend Taqueria Los Comales #3, rain or shine. Gumbo is a flighty lover — easy to love but hard to find. Gumbo is a Cajun-Creole stew, served over rice. Its specific taste and complex cooking process make it difficult to find a respectable bowl outside of the southern Louisiana region. Cajun food is precise and unique, and many fall short in efforts to emulate. My dad lived in Louisiana for most of his life. He swears by gumbo with a pointed enthusiasm that makes the stew immeasurably more enjoyable. Sure it tastes delicious, but you love gumbo for the attitudes that made it and feelings of comfort it inspires. Fifolet Cajun & Cocktails, at 1942 W. Division St. in Wicker Park, is warm, cozy and smells like beignets. They capitalize on every Cajun cliché: the brass music, Mardi Gras decorations and pictures of New Orleans. Regardless, Fifolet feels earnest and strikes a chord of comfort. The restaurant was disproportionately loud to the number of patrons. 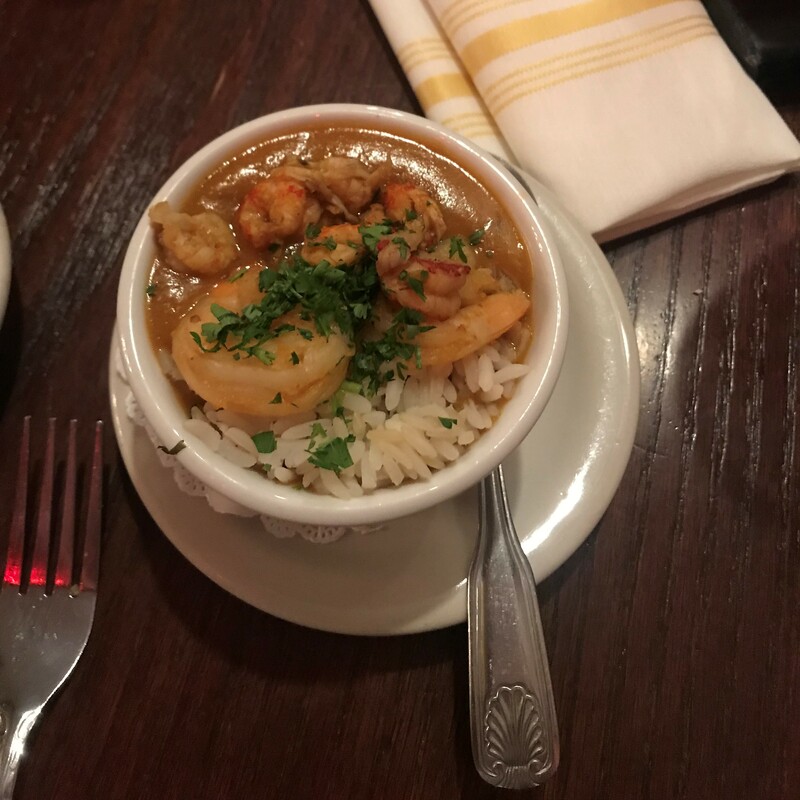 The music was loud, the customers were loud and a server at one point stopped the restaurant to sing, “And I am Telling You I’m Not Going.” Fifolet is fun and it’s clear they pride themselves on the experience as well as the food: a notably Cajun outlook. I was won over, however, with the gumbo. 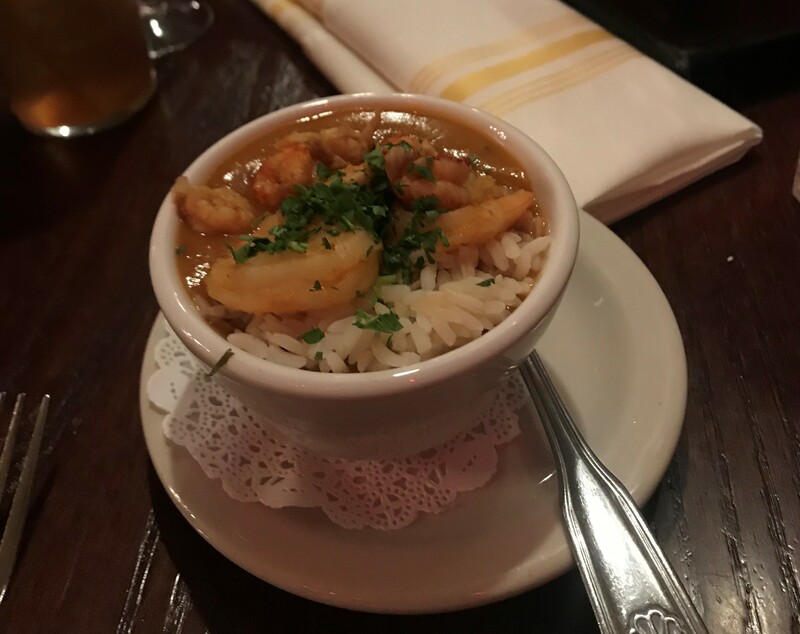 The Gumbo Fifolet is made up of shrimp, crawfish, crab and okra over herbed white rice. The blend of the ingredients creates a thick stew that’s just spicy enough to be flavorful without overpowering each individual ingredient. The roux is dark and fills your mouth with a taste so specific and so delicious that I was immediately filled with memories. To sum it up: it’s incredible. Gumbo takes an extreme amount of care. Making roux, the soup-y part of the gumbo, requires active attention to prevent burning. The precise mixture of spices calls for a delicate eye and consideration. You can’t just throw it all together in a pot. The effort is worthwhile. Gumbo is a distinct experience. It doesn’t taste like anything else. It’s very purposefully what it is. It’s interesting how attempts to emulate experiences either fulfill or disappoint. Gumbo does not disappoint. It instead sparks a memory of a time where I wasn’t worried about getting internships or finding a job. It reminds me of sitting in my kitchen and half-listening as my dad explained, in unnecessary detail, every little aspect of making gumbo and then eating an excessively large bowl with my family. Gumbo might be a flighty lover, but it’s worth it. Blurb and photos by Patsy Newitt. With soup, it’s easy to get caught up in the broth. Which makes sense – it is, after all, what makes soup, soup. But at Xi’an Cuisine, the noodles are given their moment in the sun. Located just west of the Chinatown Gate at 225 W. Cermak Road, Xi’an Cuisine’s red and gold lettered storefront opens up to a small, bright dining room. And for the record, Xi’an Cuisine (pronounced she-ahn) serves food that’s typical of the Shaanxi province in Northern China, which doesn’t exactly fit the profile of what many Americans and Chicagoans might consider “typical Chinese food.” You won’t find fried rice or General Tso's anything here. The room was somewhat quiet for a restaurant, which I immediately realized was due to the fact that nearly every diner’s head was ducked into deep bowls of steamy noodles. 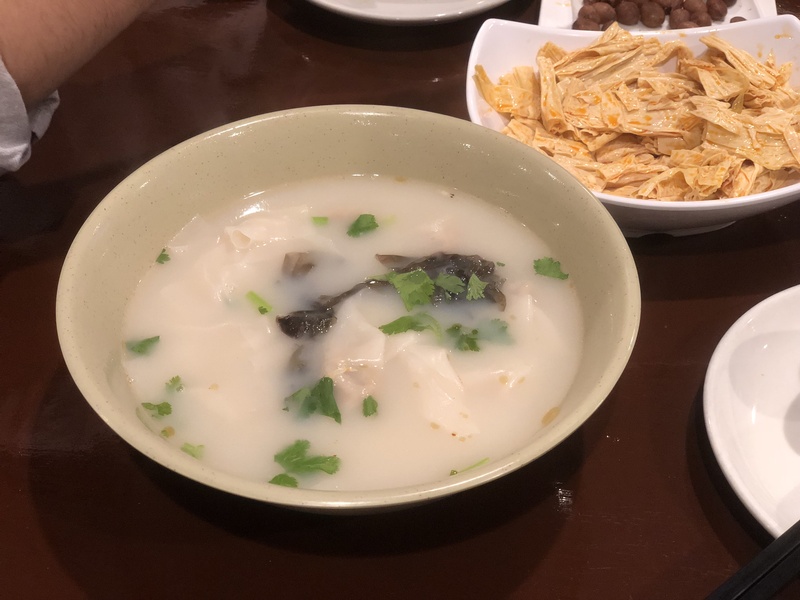 I ordered the shrimp and pork wonton soup and my partner ordered what seemed to be one of the more popular dishes on the menu — the hand-pulled noodle soup with lamb. Per usual, we planned to share. We were also lured in by the appetizers on the menu and went ahead with the marinated peanuts and cold tofu skins & celery marinated in white vinegar sauce. Everything on the menu, including the soups, is less than $10, so you might as well go for it. The peanuts were oh-so-tender with just the right balance of sweet and salty and the slightest hint of cinnamon to finish off every bite. The tofu skins — which I realize doesn’t sound all that appetizing to many of you — were an excellent counter to the succulency of the peanuts. They were chewy and sour in the way only both tofu and vinegar can be. Overall an ideal warm-up for the main event, which came out just as we finished our appetizers. And I really mean it when I say “main event” — the bowls are sizeable with, thick, silky hand-pulled noodles peeking out from their milky-toned bone broth. I did as I always do when I sit down to eat something — immediately add a big dollop of chili sauce. If you’re not into spice, the soup can totally stand without it, but as someone who can’t remember the last time I ate eggs without sriracha, the chili took it to another level. My wontons, like the noodles, were thick enough to taste dough but in no way hid the shrimp and pork filling, which was moist and intertwined perfectly with the broth in every spoonful. My partner and I switched our bowls around, and the same impression held up for the lamb noodle soup. Something about the way those noodles pulled out of the bowl — sliding gracefully between my chopsticks — was so, so satisfying. Blurb and photos by Francesca Matthewes. GIF by Cody Corrall with illustration by Artem Kovyazin. I have my mom’s unhealthy obsession with Rick Bayless to blame for loving XOCO so much, or at least that’s what I tell myself. Part – okay, most – of it is definitely the food. 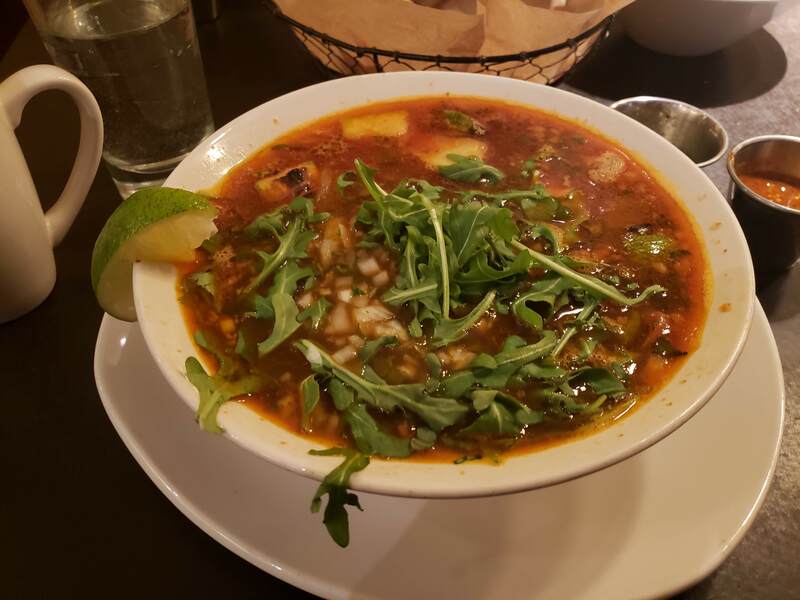 XOCO boasts pretty huge portions – their soups, or caldos, are advertised as “meals in a bowl” – and it’s worth every cent. 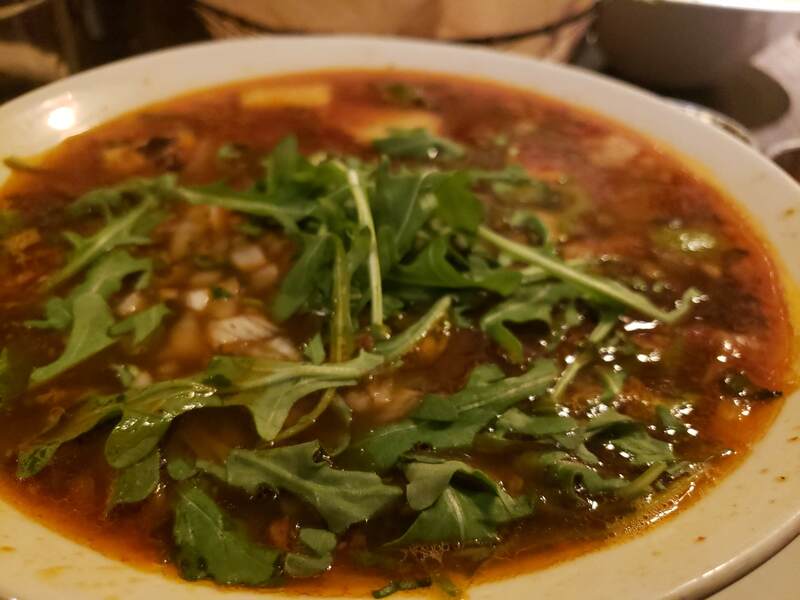 Their Shortrib Red Chile Caldo is my favorite on the menu, chock-full of tender and silky shortrib, peppery arugula and roasted zucchini, surrounded in a slightly spicy, slightly limey broth. Also not to be missed: Aztec hot chocolate. When it comes to hot cocoa, XOCO doesn’t mess around, and this rich, thick coca with a bite of spice is a great way to help you warm up from frigid temps. Aside from the amazing food, cramped but cozy space and the ridiculously rich hot chocolate, the best thing about XOCO is with Bayless himself: intentionality. Every dish at his myriad of restaurants in Chicago – from casual Frontera Grill to upscale, Michelin-starred Topolobampo – is steeped with conscious choices about how best to connect the individual with a specific pocket of Mexico. Bayless doesn’t just focus on Americanized Mexican fare, instead elevating food to celebrate culture. I think that’s the other part of why XOCO is one of my favorite places to go for food in the city. As a person who struggles to connect to their own culture because of a language barrier, food bridges that gap between my American upbringing and my Mexican roots. It might seem strange to think of soup as a gift, but it’s certainly not strange to me. Blurb and photos by Cam Rodriguez.